With our diversity, unbeatable quality, proven experience and track record, we are just the type of business partner that companies in this industry are looking for. ELR Electrical Engineering Support Services is a distributor and system integrator of technology advanced and revolutionary renewable energy products that provide customers with alternative solutions for energy generation and storage. • More efficient (utilizing patented concentrating technology) and cost effective Photo Voltaic (PV) solar panels. • Vertical axis (nearly frictionless) wind turbines with direct drive generators. • Lithium Iron batteries offering maximum power density per weight ratio with unbelievable life cycles. The trend toward homes and small businesses that are powered by alternative energy sources, ranging from wind turbines to solar collection cells, is one that needs to grow and to continue into the 21st century and beyond. There is a great need of becoming more energy independent, and not having to rely on the supplying of fossil fuels. Not only are fossil fuels adding to global warming but future generations might not have the benefit of oil, coal and natural gas due to the fact that current and past generations have depleted the reserves. As South Africans our dependence on fossil fuel to provide for our electrical energy needs have adverse effects on our economy, our environment and our health. The time has come to install energy-saving equipment and implementing new techniques to reduce energy consumption. We should all become actively involved in saving electricity (which is a form of energy). But saving electricity is not enough. We should also switch to green power. Considering alternative energy solutions (green power) is however not the responsibility of government, industry or large corporations only, as home and small business owners we can also do our bit to reduce our dependency on utility power. We have all experienced the increases in Eskom and municipal tariffs over recent years. 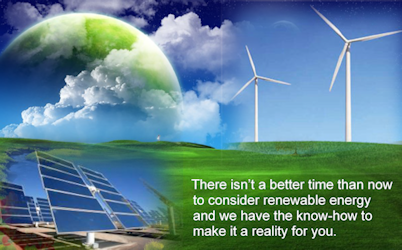 Indications are that these trends will continue, while at the same time cost for renewable energy is steadily falling. With a global increasing demand for steam coal, coal prices will come under pressure which places more pressure on coal fired power plants to remain competitive. Furthermore if we add the cost for potential carbon tax (which is expected to be implemented from 2012) to the equation then renewable energy resources (with zero fuel cost for wind and solar power) could well be cheaper than the utility power. Why should South African households and small industrial businesses consider alternative energy solutions? Switching to alternative energy should be done in phases. To become totally independent from utility power will cost too much and may not be financially viable (at this stage at least). A hybrid system will be the most cost effective solution, using solar and/or wind power to supplement the power supplied by your utility. You could then gradually expand your renewable energy system until you reach the point where you are totally independent from the utility grid. Solar and wind power has proven to be perfect replacements for standby generators in agricultural and rural applications. In addition it also provides viable solutions for water pumping applications. When electrical power from the utility is not available, wind turbines could produce clean renewable electrical energy for households and small industrial businesses. Wind energy is one of the fastest growing solutions in the world. South Africa’s good wind density makes it a viable option to harvest and convert this clean, renewable form of energy. The rotating blades convert the wind’s kinetic energy into a rotational force producing torque on the turbine shaft. The rotating shaft turns a shaft mounted alternator, which generates electricity (normally DC power). This electricity is then inverted and fed directly into the stand alone electrical system (house hold or small industrial business) or stored in a battery bank. DC power from the batteries is inverted to provide AC power for appliances and other electrical equipment. Southern Africa is one of the regions with the highest count of sunny days per year in the world, making it one of the most suitable places in the world to use solar power energy. Solar power is the generation of electricity from the energy of the sun by using photovoltaic (PV) panels. Solar panels consist of an array of photovoltaic cells that convert the energy in sunlight into electricity by a process known as the photovoltaic effect. 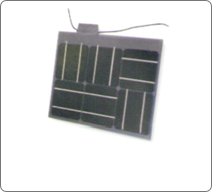 PV cells normally consist of at least two semi-conductive materials, such as silicon, one of which has a positive charge while the other is negatively charged. Photons once they fall on the solar cells transfer their energy to the panel, making it possible for negatively charged electrons to detach from the atom. These electrons after picking up the energy from photons have enough energy to move around and are moving towards one side of the panel forming the negatively charged layer. This creates a potential difference between the two layers. When a load is connected to the cell these electrons would flow back towards the positively charged layer, causing electric current to flow. The individual solar cells are then connected in series strings to increase the potential difference (or voltage). Connecting the cells in parallel strings increases the electric current (amps). They are then sealed or laminated and normally placed in a rigid frame. This makes up a photovoltaic (PV) module. 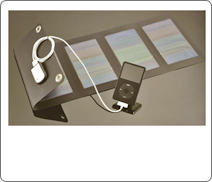 These solar modules or panels are available in various sizes, power outputs, and materials. Hybrid power systems combine two or more energy conversion devices and when integrated overcome limitations inherent in either. An example of such a hybrid renewable energy system is a photovoltaic array coupled with a wind turbine. The wind turbine would typically produce more power during stormy weather (or even at night time) while the solar panels would produce peak power during sunny open sky days. Hybrid systems would often yield larger economic returns than these individual systems would by themselves. A hybrid power system could also combine various forms of renewable energy with conventional power systems such as utility power and/or backup power from generator sets or also battery power. In these cases renewable energy systems are often used as an effective back-up solution to the normal supply from the utility. System integrators like ELR Electrical Engineering Support Services can design and provide hybrid systems using different combinations and configurations of locally available energy resources and supply all load requirements (whether AC or DC). Hybrid power systems provide suitable and cost effective solutions for rural electrification. For communities to uplift itself and to ensure sustainable development basic services such as potable water, health care, education and communication must be available and affordable. Access to reliable electricity is a prerequisite for the provision of many of these services.